The grocery store is designed to make you stay awhile, spend money, and splurge on the unnecessary. There is nothing about the grocery store that is accidental. The highest bidder or most popular items are at eye level. The produce and the bakery are up front to entice your appetite with their stupendous smells. Meat, dairy and eggs are always in back forcing you to walk past ALL the available products. The sights and smells can send you in to sensory overload. 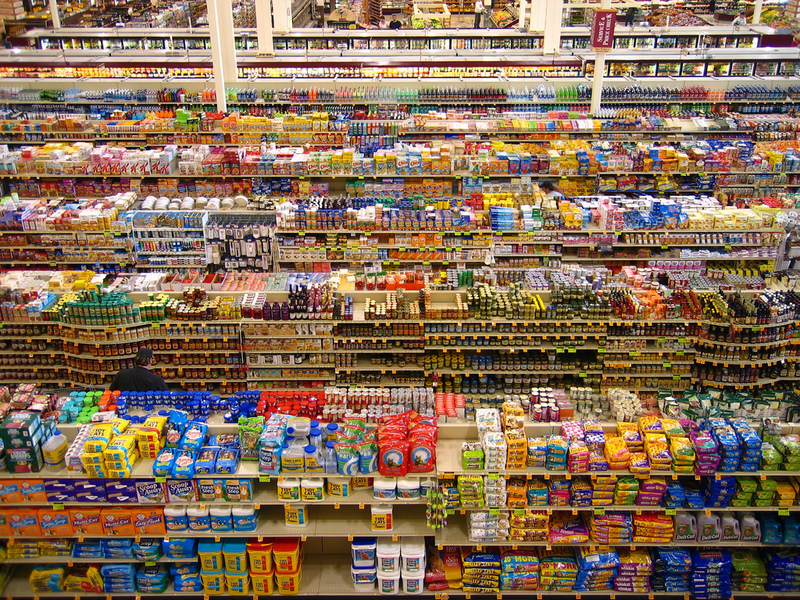 How do you navigate the grocery store while keeping your sanity and maintaining your health? 1. Make a List- Time for the nerd in me to come out. I love lists. When I have a list I shop like a rock star and so can you. Start your list with the staples in your diet. My staples are fruits, vegetables, proteins, and milk. I look at what is already in the house and write down whatever else is needed for the week. Then I check to see if there are any sales on foods I like but don't usually buy. Lastly, I see what else we need that is not an every trip purchase (i.e.- garlic, spices, toiletries, olive oil, etc.). The list will give you the power of 'NO" over the temptation on the shelf and allow you to hold true to your healthy lifestyle. Get so many fruits and vegetables that the cart fills up and you have room for little else. Really. You will buy less of the other....crap. Pick up apples, bananas, berries, lettuce, spinach, broccoli, cauliflower, and peppers to start. These are regulars in my cart. On top of these fruits and veggies mix it up. Look for others that you enjoy. Shop the sales to save money and try new produce. You may find a new staple in your diet. 3. 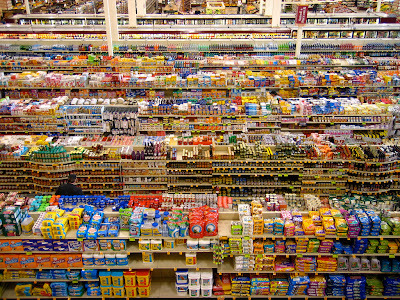 Skip the Soda and Snack Aisle- These aisles will sabotage your health. No need to test your willpower by walking down the aisle. Do yourself a favor and skip it completely. If you keep the snack items out of sight they will be out of mind. If you don't purchase them then they will not be in the house when you do have a craving. I can pretty much bet you won't run out to the grocery store for one candy bar. Instead, grab one of your fruits or vegetables and use that as a snack. 4. Take a Number- Deli, Fish, and Meat markets are the best place to get fresh, individualized orders on low or no additive proteins. I start at the deli counter and get an HEB Fully-Fit turkey. I looked on the labels to see which turkey has the lowest sodium, HEALTHYLY COOKED, least additives, and tastes good. I have found their sun-dried tomato to be my favorite. Next, the fish market where I look to see what is on sale. My typical purchases are salmon, tilapia, or.....the sale. When I buy fish I look for wild-caught, fresh never frozen, but will take it previously frozen if it is something I want and on a good sale. Lastly, I hit the meat counter where I check to see if chicken breasts or pork tenderloins are on sale. The usual suspects are all-natural chicken breasts and extra lean ground turkey. Ground beef, steak, and bacon don't usually make the cut. Use the grocery store to establish your healthy habits NOT to destroy your progress before it even starts. 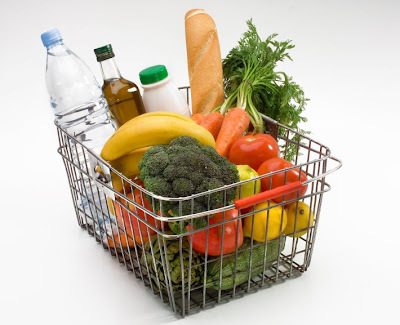 What tips do you have for grocery shopping and being healthy? 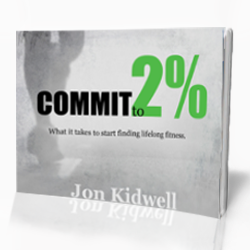 Get Jon Kidwell | Finding Fit every Monday and Thursday in your inbox by entering your e-mail in the 'Follow By E-mail' section. I try and walk to the store that way I can't take as much home and I get lots of fresh produce which might mean I have to go more than once a week but that way it's fresh! Not to mention getting a workout! I LOVE this tip! I wish I knew who to thank. If you are able to walk to the store I would highly recommend it. Meghan and I walk when we can and even though I feel like a pack mule and my shirt is completely drenched when we get back I still love it. Thank for the comment!